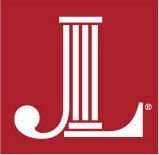 Thank you for your interest in the JLB Beeson Community Fund. One information session will be offered on Wednesday, July 18 at 8:30 a.m. at the Junior League of Birmingham (2212 20th Avenue South, 35223). The information session is designed to provide information regarding the JLB, our Beeson Community Fund, and the application process. We strongly encourage interested applicants to attend. Wednesday, July 18, 2018 (8:30 a.m.): Information Session – Held at the Junior League of Birmingham (2212 20th Avenue South, 35223). The Letter of Interest (LOI) application guidelines are accessible here – JLB Beeson Initial Application 2018. Friday, August 17, 2018 (11:59 p.m.): LOI application deadline. Electronic submission of LOI application (1 page PDF) to beesonfund@jlbonline.com. Week of October 1: Notification to those invited to submit full application. Detailed instructions for submission will be provided. TBD: Full application deadline. Full applications will only be reviewed for those asked to submit one. Thank you again for your interest and for your impactful efforts in our community. Any questions should be addressed to Katy Eldridge, 2018-2019 JLB Beeson Community Fund Chair at: beesonfund@jlbonline.com.